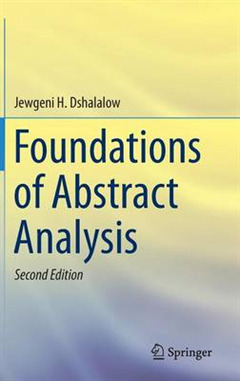 Foundations of Abstract Analysis is the first of a two book series offered as the second expanded edition to the previously published text Real Analysis. 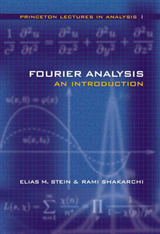 It is written for a graduate-level course on real analysis and presented in a self-contained way suitable both for classroom use and for self-study. 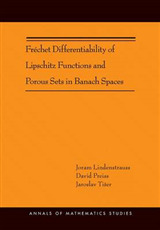 While this book carries the rigor of advanced modern analysis texts, it elaborates the material in much greater details and therefore fills a gap between introductory level texts with topics developed in Euclidean spaces and advanced level texts exclusively dealing with abstract spaces making it accessible for a much wider interested audience. To relieve the reader of the potential overload of new words, definitions, and concepts, the book in its unique feature provides lists of new terms at the end of each section, in a chronological order. Difficult to understand abstract notions are preceded by informal discussions and blueprints followed by thorough details and supported by examples and figures. 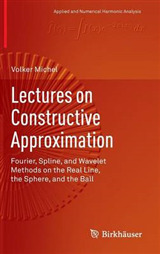 To further reinforce the text, hints and solutions to almost a half of more than 580 problems are provided at the end of the book, still leaving ample exercises for assignments. 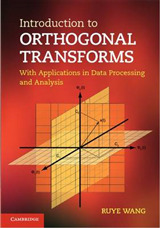 This volume covers topics in point-set topology and measure and integration. 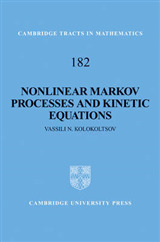 Prerequisites include advanced calculus, linear algebra, complex variables, and calculus based probability.